Yep, this is another “anime girl” recipe… because once again, I am suffering from homesickness for Japan. 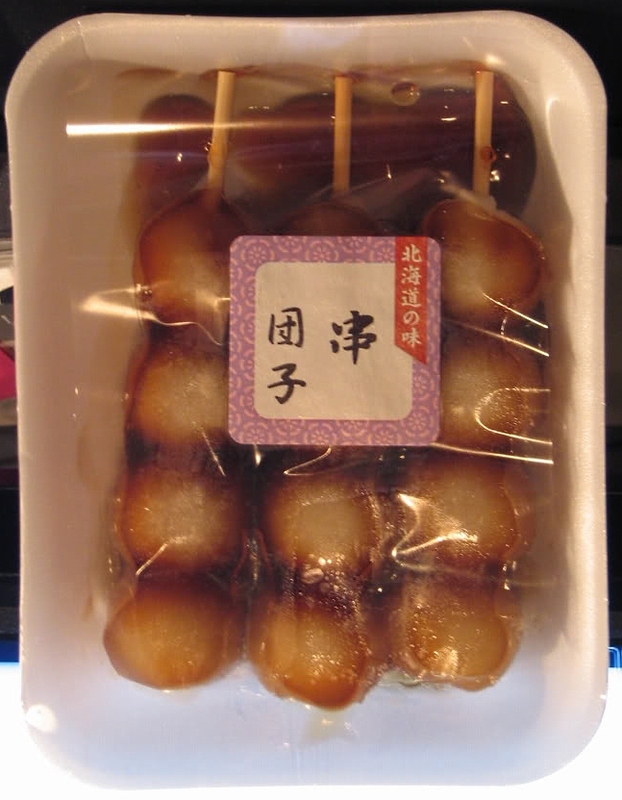 You see, when I was a little girl in Tokyo, my parents would buy these kushi dango (skewered dumplings) drowning in sweet, shoyu (soy sauce) sauce… it was one of my favorite snacks! So I was deeee-lighted to find them in a Japanese store across town! It was love at first taste for my JRoc… but therein lay the problem… the store was across town. Well, distance may make the heart grow fonder, but it really makes the taste buds grumpy. Especially mine… so boy, was I glad to find several kushi dango recipes for me to play with… including recipes for the sweet shoyu sauce! Now, we can have these scrumptious little dumplings whenever we want! … and it’s super easy to make! And the taste… OMG… just like the yummies in Japan! Put rice flour (or mochiko) in a bowl and add warm water. Mix well and knead the dough. Make small round dumplings (around 1 inch big). Drop balls in boiling water and boil for about fifteen minutes. Mix water, sugar, and soy sauce in a pan over medium heat. Bring it to a boil and slowly add flour and mix quickly. Pour shoyu sauce generously over dango on skewers and let it sit for 20 minutes. Next: SPAM, Eggs, and Rice… Perfect for Lazy Mornings! Hello! Thank you very much for your recipe! I have just made hanami dango (the green, white and pink ones eaten in the sakura-viewing festival) and I was wondering if the sauce would also work on these? Thanks! I only made the hanami dango instead of these because they look so cute! I’m probably going to post my own recipe on my blog so maybe check it out! Thanks again! Oh wow, flashback time… I remember those cute, pastel dangos during flower viewing season in Japan! From what I recall, we ate them as is. But… you could try serving the sauce separately so the dangos can be dipped into them? Hello, in all the dango recipes I’ve seen this is the only one that doesn’t require silken tofu. 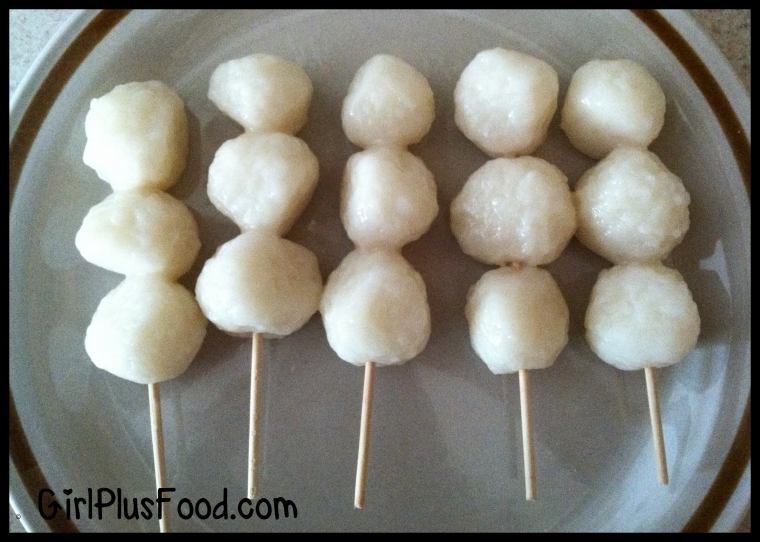 I’ve never made dangos, so do you mind describing the differences for dango with and without tofu. Thanks! I really enjoyed makong this recipe, although I did do a few things different because I didn’t have everything handy. I used regular flour inatead of rice flour and I did make my shoyu sauce in the microwave. Regardless, the dango taste fantastic and I plan to take them to work and share them with my coworkers. I appreciate you posting this recipe and I hope my coworkers enjoy it as well. Thank you so much! when you’re making the Shoyu sauce, what kind of flour are you using? The Mochiko? Or just any old name brand from the store? Thanks for an awesome recipe! Anpan is next on my list. Haha. Thank you for being here… and oh yes, kushi dango is sooooo yummy! Let me know how it turns out when you make it! Made this to go with a larger meal with the f family. So Good! I’ve tried to make these but the dangos ended up soft and gooey. Any tips? Hello! I know I’m not Carmen but I had the same problem too. A quick fix for me was to mix equal parts flour and water (so 1.5 tbsp flour and 1.5 tbsp water) together until the flour dissolved, then add that to the sauce mixture. It thickened up fairly quickly for me. I’m going to attempt to make these, I’m really happy I found a recipe for dango without tofu, it’s pretty expensive where I am. 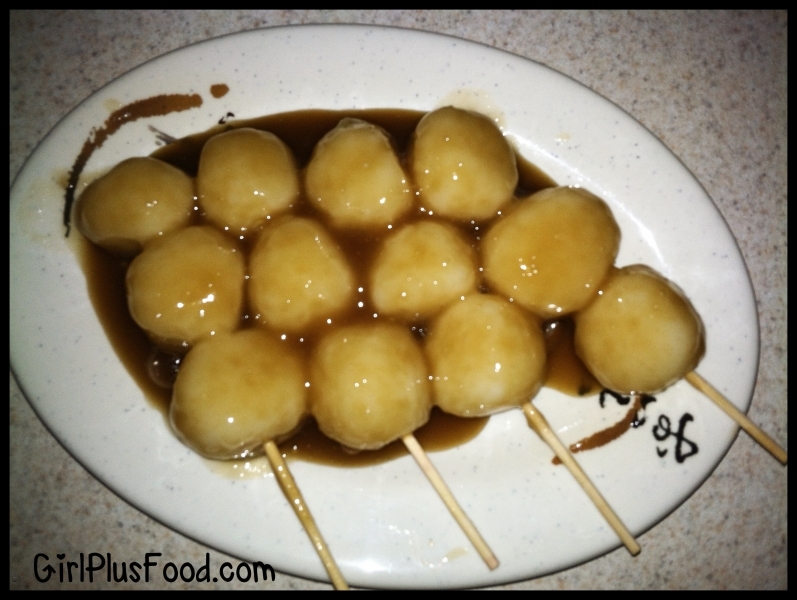 Wow – I’ve never even heard of dango with tofu! Let me know how these turn out for you, Karma-chan! Hi Carmen. I need to make these for my son’s class project. How do you store them once they’re done? I will be making them the night before to take to school the next day. Thank you!